Chroma ATE Inc. was selected by the Industrial Development Bureau, Ministry of Economy Affairs for its unique and critical technology in particular areas that have high competitiveness in the international market. March 6, 2013 - PRLog -- Chroma ATE Inc. won the selection of 1st Taiwan Mittelstand from Industrial Development Bureau, Ministry of Economy Affairs. After a three-month selection with total applications of 258 enterprises, top 10 Mittelstand were elected and granted the award on Feb. 27 publicly recognizing their unique and critical technology in particular areas that have high competitiveness in the international market. Chroma stands out in this competition as one of the top 10 Taiwan Mittelstand. Chroma CEO, Leo Huang, has pointed out that the honor belongs to each member of Chroma and it is the success gained from adhering to the responsibility of each position and the recognition company concept, which is the DNA of Chroma to continuously grow and flourish . Chroma strives to be initiative, accountable, and innovative for superior technology, quality, and service, while developing world-class products with precision, reliability and uniqueness as core competitiveness. Chroma devotes significant amount of R&D investment accounting up to 12%~15% of overall revenue each year for creating advanced technology in order to provide its customers higher value products. Chroma has accumulated almost 100 core technologies and 364 patents and cultivated in turnkey test and automation solutions. Chroma’s power electronics and power supply test systems are No.1 in the global market and its passive component, electrical safety and electric vehicle test systems are the first brand in Asia. Add the successful brand development for creating excellent business performance that won the award as also a key factor. With solid experience in power electronics measurement, Chroma has been devoted to clean technology industry testing and Turnkey automation solution development. In the future, Chroma also adheres to the concept of “based in Taiwan, focused on the World” for globalization to meet the upcoming demands in emerging markets towards becoming a world-class enterprise. Chroma ATE Inc., founded in 1984 has been marketing globally with the own brand name “Chroma” is a world leading supplier of precision Test & Measurement Instruments, Automated Test Systems, Manufacturing Execution Systems and Turnkey Test & Automation Solutions. The major products of Chroma include LED, photovoltaic, Li-battery, electric vehicle, semiconductor/IC, laser diode, flat panel display, video & color, power electronics, passive components, electrical safety, thermoelectric temperature control, automatic optical inspection and manufacturing execution system test solutions. 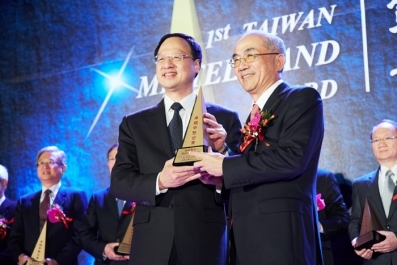 Chroma was awarded Best Midcap & Best Managed Company in Taiwan by FinanceAsia in 2010 and 2011.